January 25, 2019 | By MikeB | Filed in: Dogs. The dog walking smart phone app called Wag works a bit like Uber cars. You can commission a qualified dog walker from your smart phone. On this occasion it went badly wrong. 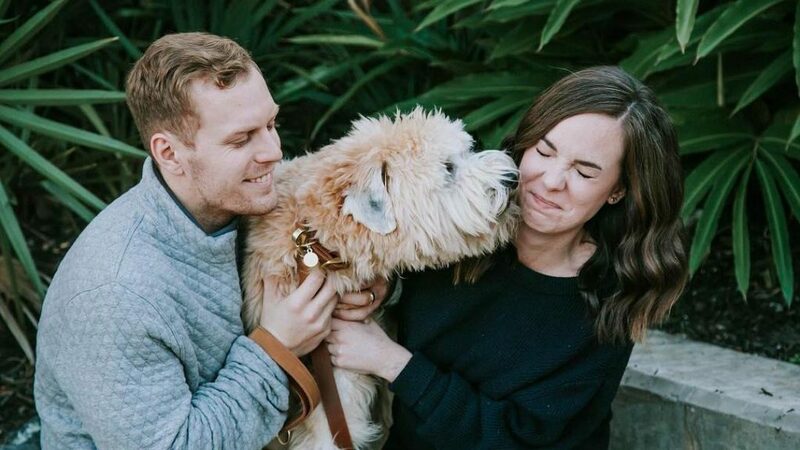 Nick and Sara Moore, from Huston in Texas, commissioned a Wag dog walker to walk their puppy Winnie. They had used the service before. On this occasion they did not receive the usual text message to say that Winnie had been returned home by the dog walker. Sara called the dog walker who assured her that Winnie was at home. Five minutes later she received a phone call saying that Winnie had been hit by a car and killed. Wag promised to cover the funeral expenses but they insisted upon a nondisclosure agreement when Mr Moore submitted receipts for the cost of the funeral and, I presume, ancillary expenses. I will also presume that the gagging clause attempted to prevent them from discussing the accident with news media of any sort. Sara and Nick Moore refused to sign the gagging agreement. The company initially said that the offer remained open but a day later there were told that it was “null and void”. Mr Moore went to Facebook to highlight the issue which prompted the chief executive of Wag, Hilary Schneider, to explain on their website that non-disclosure agreements had been a common practice but that they have now changed policy in that regard. Wag said that Winnie had died in a hit-and-run accident and that their dog walker had received very high ratings prior to the incident. They said that they were devastated at what had happened.